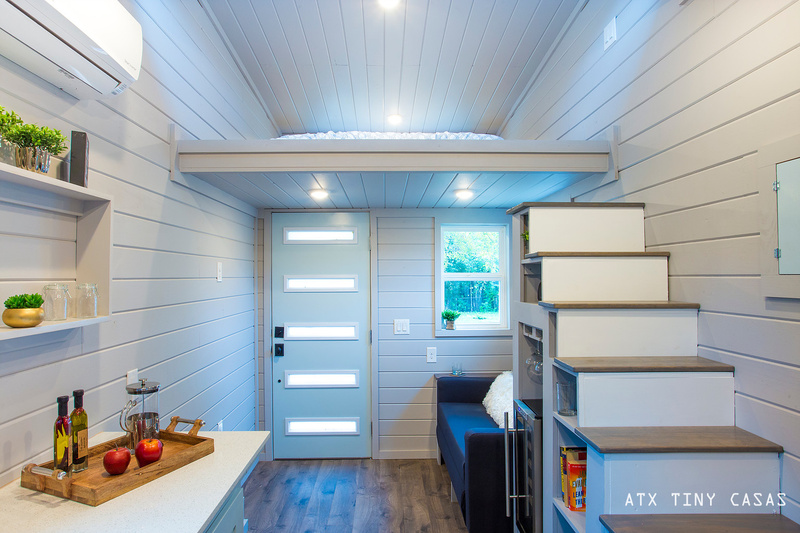 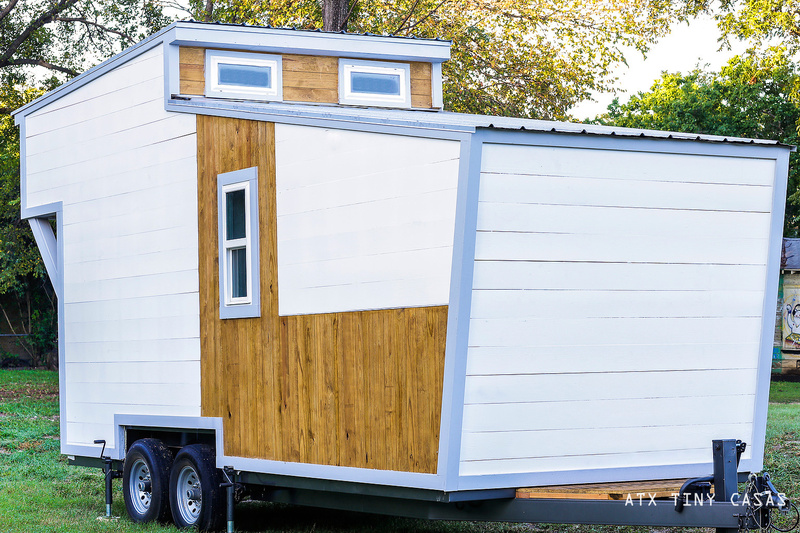 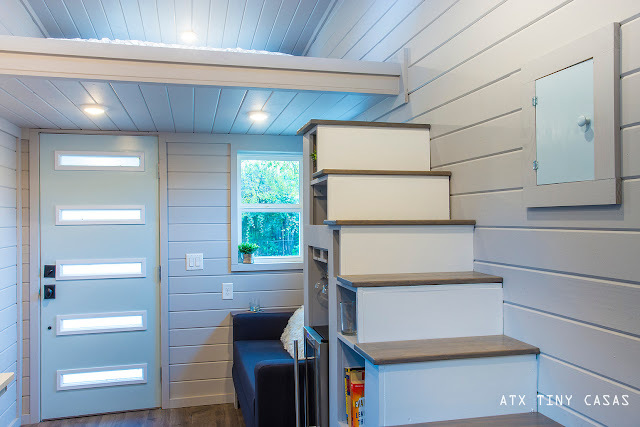 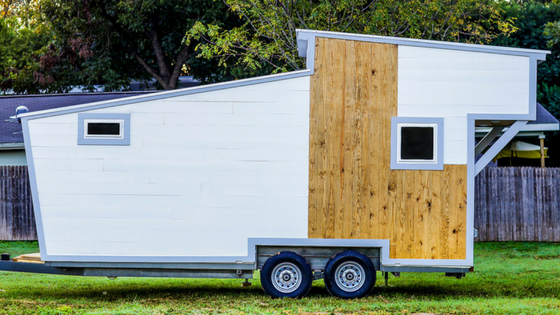 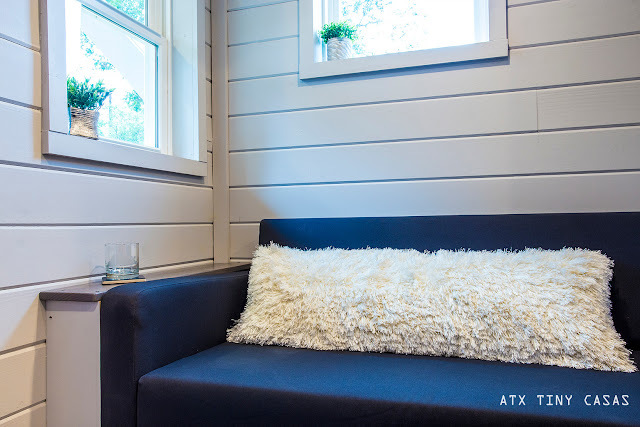 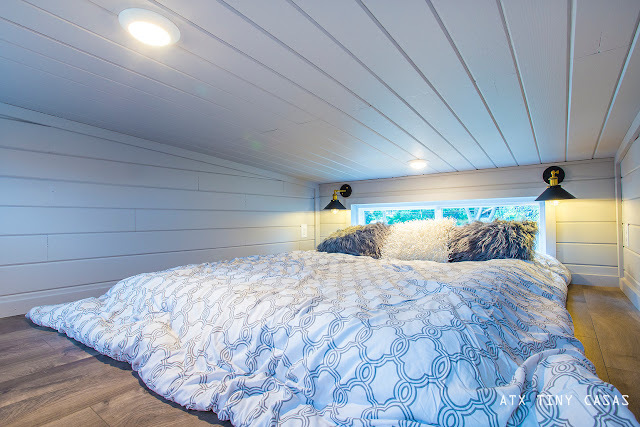 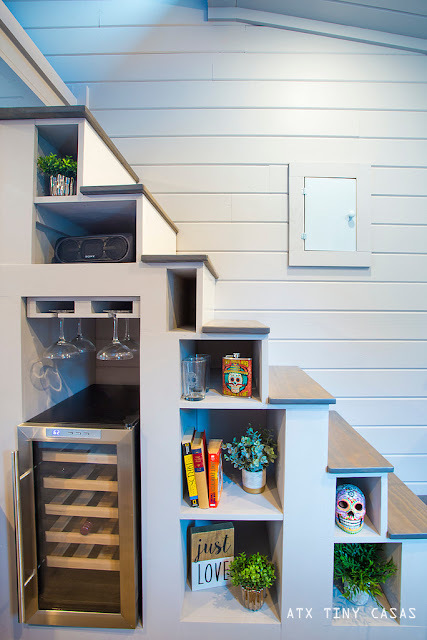 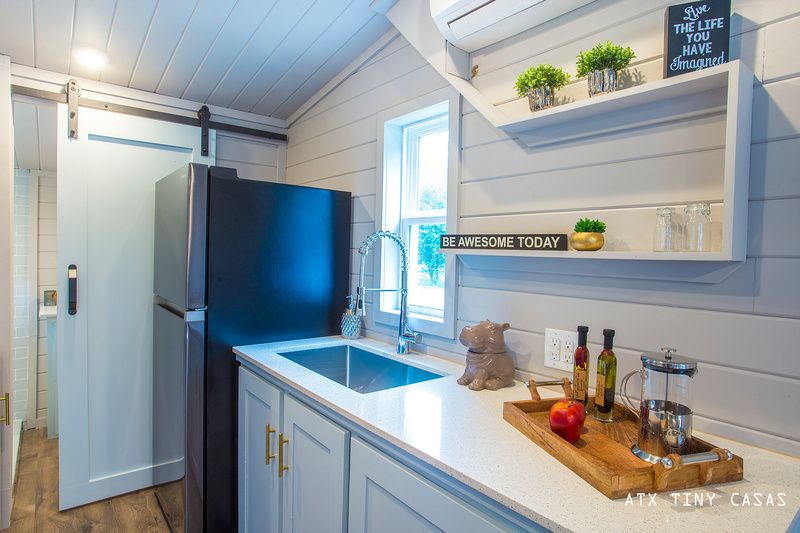 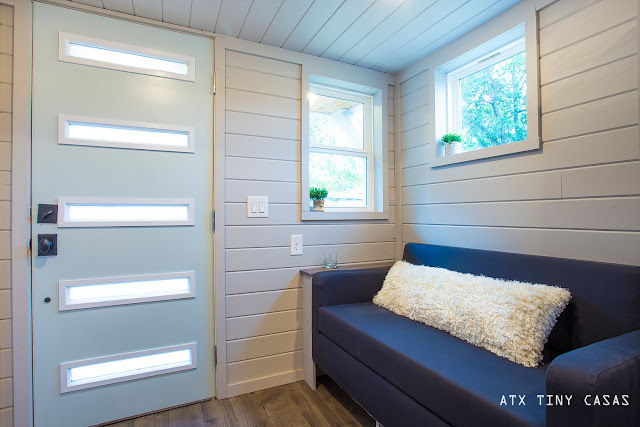 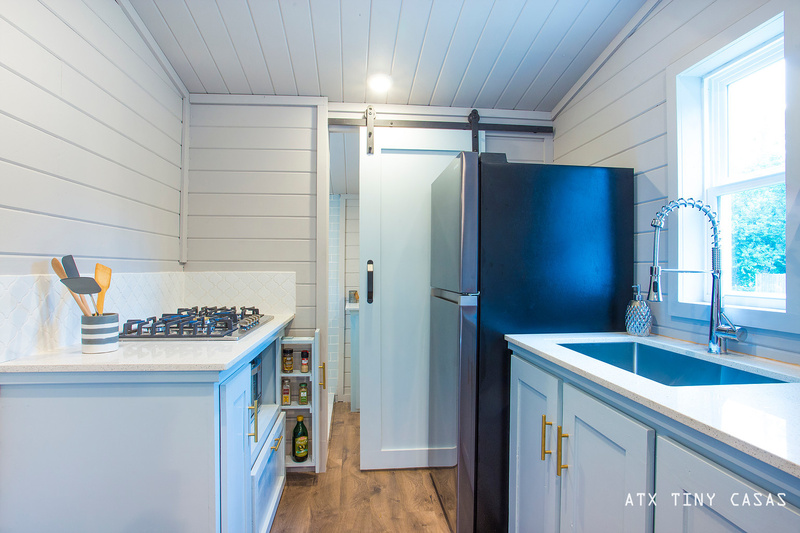 An eye-catching modern home from ATX Tiny Homes. 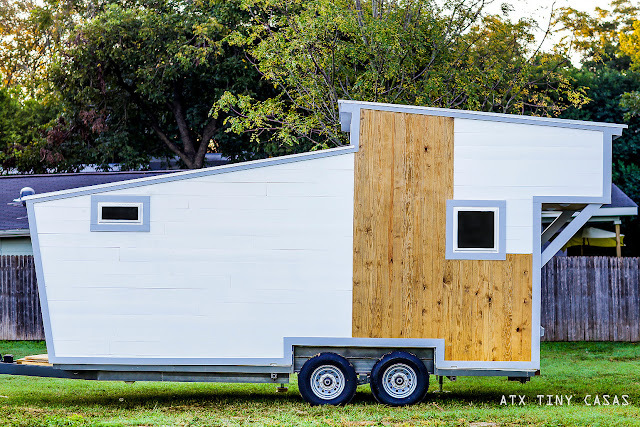 It's easy to tow and includes appliances and a sofa! It's also currently available at a special discounted price of $45,000! 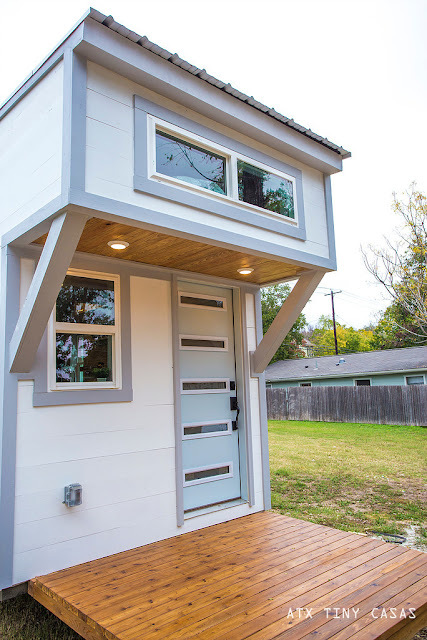 For more information, contact ATX Tiny Casas here! 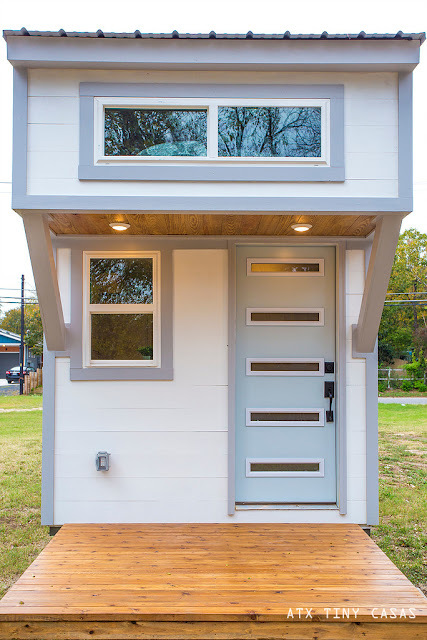 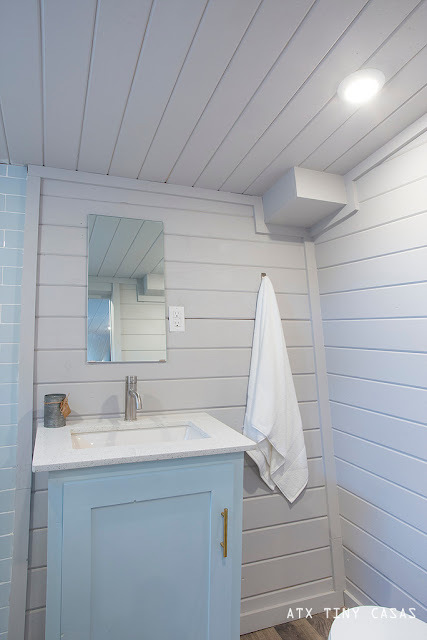 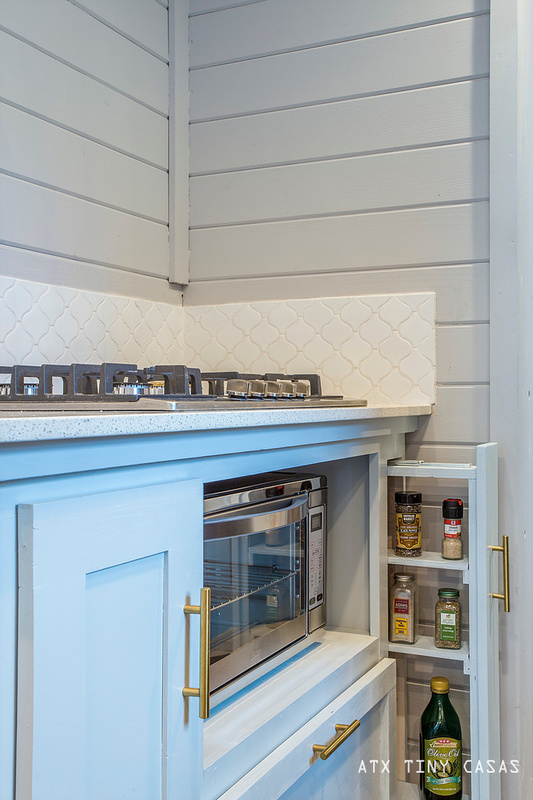 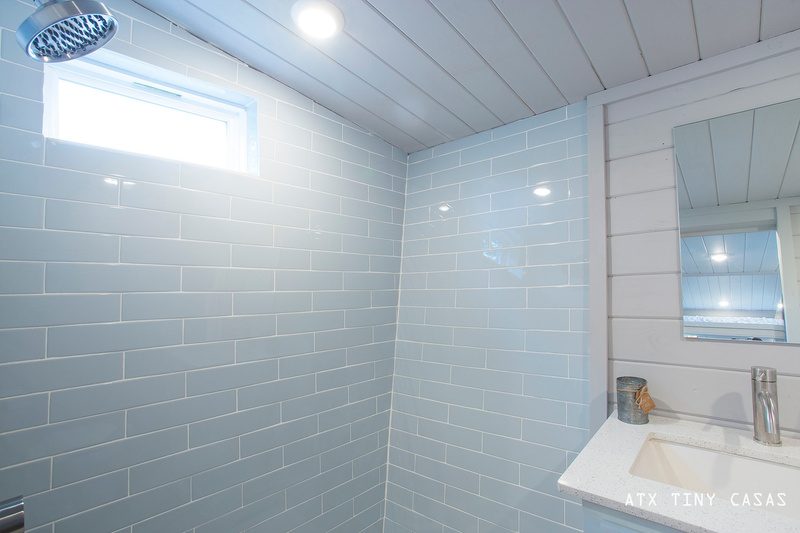 You can also check out the Chuy, by the same builder, here!